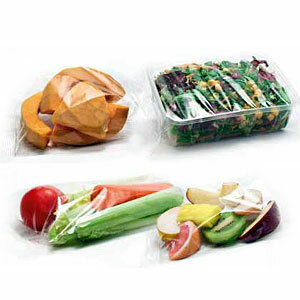 This kind of packaging is generally used for preprocessed vegetables or fruits. When the Flow Pack packaging machine is used for preprocessed vegetables or fruits it is reccomended to use modified atmosphere packaging (MAP) system. Only certain products allow the Flow Pack to be feeded automatically, usually there must be manual feeding.